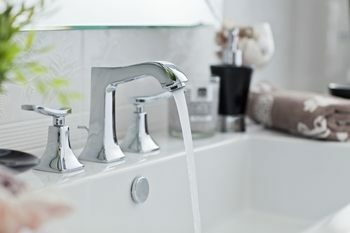 Your home's plumbing system plays an integral role in its comfort, convenience, and cleanliness, so you need to keep that system in great shape at all times. When there are any kinds of problems with your plumbing system they need to be taken care of as soon as possible. At Cooper's Inc., our professional Silver Lake plumbers can provide you with high quality plumbing repairs whenever you need them. We'll be able to do whatever it takes to keep every part of your plumbing system in great condition. Our Silver Lake plumbers are all licensed, trained, and extensively experienced professionals who can provide excellent work. No matter how small or large the job is, we'll always be ready and eager to tackle it, and we'll guarantee your satisfaction with all of our work. Call us today to schedule your appointment, and we'll be looking forward to assisting you. You and your family use your water heater every day, multiple times a day, and for a huge variety of different tasks, from washing dishes to showering. In order for your home to remain as comfortable as possible, your water heater needs to be kept in excellent condition so that it's totally reliable. If you encounter any kinds of problems with your water heater, our Silver Lake plumbers will be able to provide you with repairs that are fast, thorough, and accurate. Your air conditioner needs to be able to keep your home cool throughout the summer months, and it needs to do so while keeping your energy costs as low as possible. Our professional Silver Lake air conditioning contractors can provide you with air conditioning tune-ups to prevent problems and keep the system running as efficiently as possible. When your heating system develops any problems during the winter months, it can be more than just an inconvenience. During the coldest parts of the year, heating problems are a serious health and safety concern. Our Silver Lake heating contractors can provide a wide range of heating services to help you ensure that your home is always warm, comfortable, and safe. If you are looking for a professional air conditioning and heating contractor or plumber in Silver Lake, KS then please call 785-267-4100 or complete our online request form.